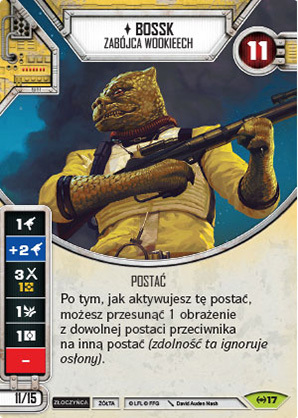 Postać - Bounty Hunter. Punkty: 11/15. Wytrzymałość: 11. After you activate this character, you may move 1 damage from an opponent's character to another character (this ignores shields).